Too bad you didn’t get the one in the manufacturer’s photo! Looks like that one got a little extra makeup before its close-up. Love the mallet. Tell me about it. It took some work. The ways were terrible. Thanks for the write up. Sorry you got a lemon. This is one case where Harbor Freight actually shines. From the picture, it seems like the same vise. 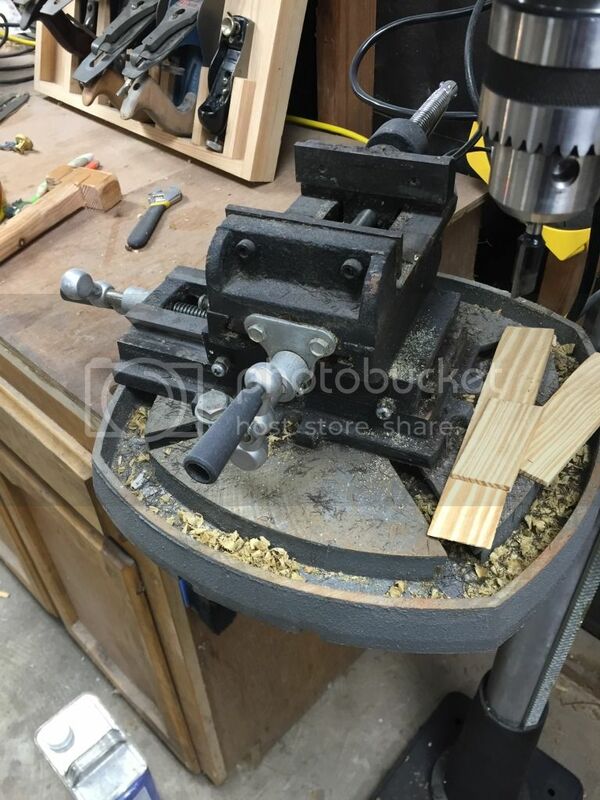 I got their 4” CS vise and it works ok. Didn’t need to tweak anything. The ways on it were machined fairly clean. If you wait for a coupon, you can get it for less than the woodstock price. And, the benefit of HF is it you don’t like it, take it back and get another one. Once you get it working, a CS vise is great. I use it all the time with my DP for precise positioning. I like it and use it pretty much exclusively with my drill press. The machining was poor but it was nothing that couldn’t be overcome. I expected some work on it. I think it was mainly the speed at which it was machined left a really rough surface and they don’t deburr it after. these are real handy. I mounted mine on a piece of plywood and clamp it to my DP table when i use it. Needed for precision. I love it and use it almost exclusively. Just a poor finish I should say. That’s all.